PacWest Distributing, Inc. was founded in 2005 and within 9 years has become one of the nation's leading transportation and logistics companies. Our headquarters are located in the San Francisco Bay Area town of Pleasanton, CA near the heart of business and technology in Silicon Valley. The company began business in the transportation of temperature controlled goods such as produce, frozen, floral & nursery but has since grown to include a full service of transportation solutions such as dry truckload, Less than Truckload (LTL), Intermodal, Expedited, International/Domestic air cargo & Flatbed freight. When you work with PacWest Distributing you have an entire team on your side. 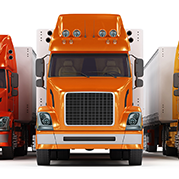 Your dedicated account team is made up of a team of transportation professionals who provide a seamless and streamlined solution to meet all your transportation requirements. PacWest's service is unmatched by their competitors because the company takes a customer service approach that focuses on education, accountability, communication, pricing and technology. Internally and externally, the company calls this the "PacWest Way." 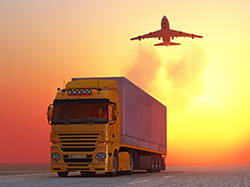 Improve the value of your supply chain, quality of service and increase your return on investment by assigning the repetitive and non-core functions of logistics to a dedicated team of transportation professionals. Refocus your resources and commit to your core business functions while receiving an improved transportation bottom line and outstanding service.